This morning brings us a rare gem: footage of the cancelled Elder Scrolls IV: Oblivion game for PSP, which was due to be part of the Elder Scrolls Travels series before it was axed. Game preservation channel PtoPOnline brings us a few new videos, showing off what an Elder Scrolls game on PSP might have looked like. 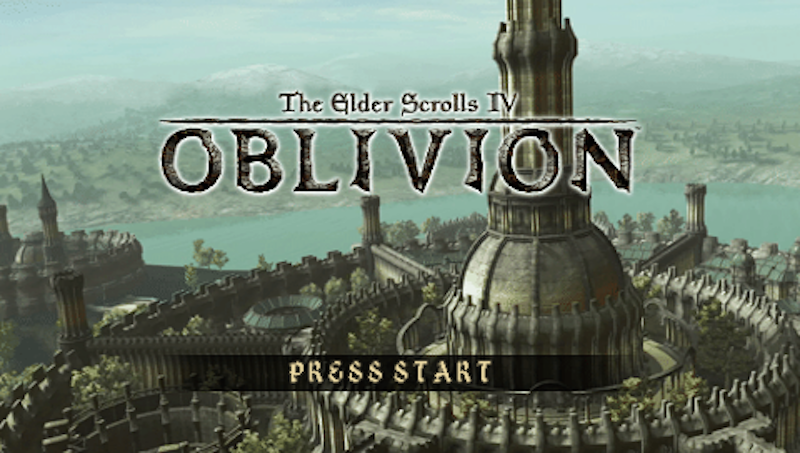 Pivotally, video maker Andrew Borman explains that rather than a massive connected open world, Oblivion PSP would have given players access to a single hub. From there, they could travel to different areas. It’s a rare look at an interesting experimental video game that we’ll never get to play. Here’s hoping Zenimax’s lawyers don’t try to take this down. UPDATE - 10:53am: Well that sure was quick. The footage is no longer on YouTube. I guess it’s really damaging to Bethesda for people to see a game that was cancelled ten years ago. UPDATE 2 - 12:21pm: Backups have emerged thanks to Vid.me user Wonderforall.